We've all been there. You open the box for some new toy such as a camera, printer, or even a data logger, and before you can get started, you are required to install a device driver. The device driver loads files onto your computer so that you can successfully communicate with your shiny new toy. Unfortunately, things can go downhill fast if the driver you are trying to install is incompatible with your computer’s operating system. It’s enough to drive you crazy! In this article, I’ll share with you some recent developments regarding device drivers and help you avoid going downhill with device driver incompatibility issues. As security threats have increased over the years, the requirements for device driver installation have become more stringent. In January of 2016, Microsoft put into place a change in driver signing requirements that compelled Campbell Scientific to sign its drivers using a new encryption algorithm. This is good news if your computer runs Windows Vista, 7, 8, or 10 operating systems. (The stronger requirements provide a higher level of confidence that the driver you are installing will not harm your computer.) This change, however, adversely affects users of Windows XP, as this operating system does not support the new driver signing algorithm. Beginning with LoggerNet 4.4 and Device Configuration Utility 2.12 (released in mid-March of 2016), the device drivers installed by these products are no longer compatible with Windows XP. Any device drivers that were previously installed on your Windows XP computer will continue to work normally. However, if you attempt to install a new driver for any Campbell Scientific device on a Windows XP computer, the driver will fail to install. If you are still working with Windows XP and encounter this problem, contact your Campbell Scientific support representative. We can provide you with an alternative installation that can write Windows XP-compatible device drivers onto your computer. After these files are copied onto your computer, when you plug the device into your computer, the driver installation proceeds normally. Microsoft officially ended its support for Windows XP on April 8, 2014. Other software manufacturers have ended or plan to end their support as well. (For example, Google announced that Chrome will no longer be supported on Windows XP beginning in April of 2016.) At Campbell Scientific, we anticipate that our development tools, new technologies, and further security restrictions will mean that we, too, cannot continue to support our software running on this older Windows operating system. I hope that the effect of these changes will be minimal to users of Campbell Scientific equipment, especially with the availability of Windows XP-compatible drivers. We are committed to doing what we can to lessen the effects on you and your data collection endeavors. 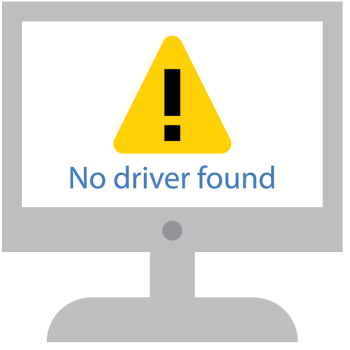 We’ll keep our eyes on the road ahead, as changes occur, and we’ll try to help you avoid going downhill with device driver incompatibility issues. If you have any device driver questions or comments, post them below.